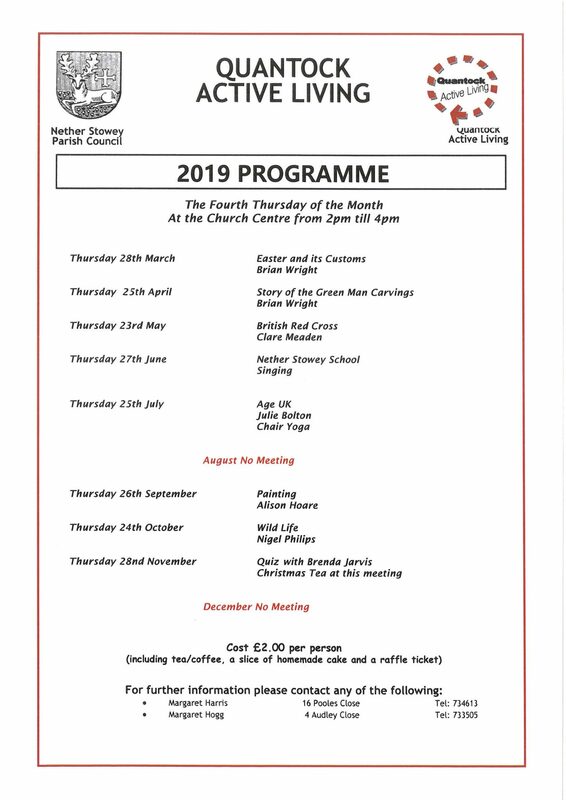 Meetings are held on the second Thursday of the month at 7pm at Nether Stowey Village Hall. The Women’s Institute is somewhere for women of all ages to relax, have fun and make new friends. For more information click here and for this year’s speakers click here.